As an established partner in their scientific network, Innovia worked again with arena to communicate the new Powerskin Carbon-Ultra suit, and carefully position it within arena’s wider range. We were tasked with defining underlying principles that confer the greatest benefits of the highly technical suit, and communicating these to athletes in a meaningful way. The Innovia team, including experts in physiology, fluid dynamics, behavioural science and design, worked in quick iterations with arena to explore and define features of the suit. 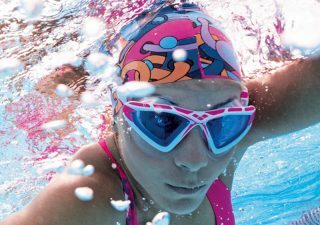 We identified synergies which became known as the ULTRA-LINK SYSTEM and the ULTRA-CAGE, and showed how these could be crisply communicated to swimmers. Inclusive design. Why it matters.